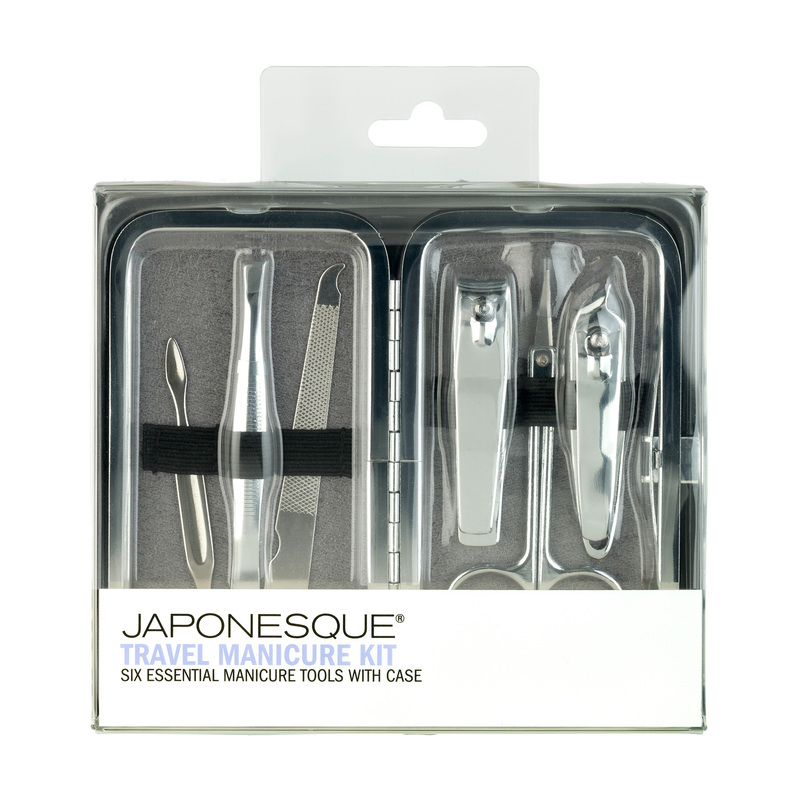 The JAPONESQUE® Travel Manicure Kit contains all the beauty essentials you need to keep nails neat and trim in a convenient travel case that snaps securely to keep everything neatly in one place. 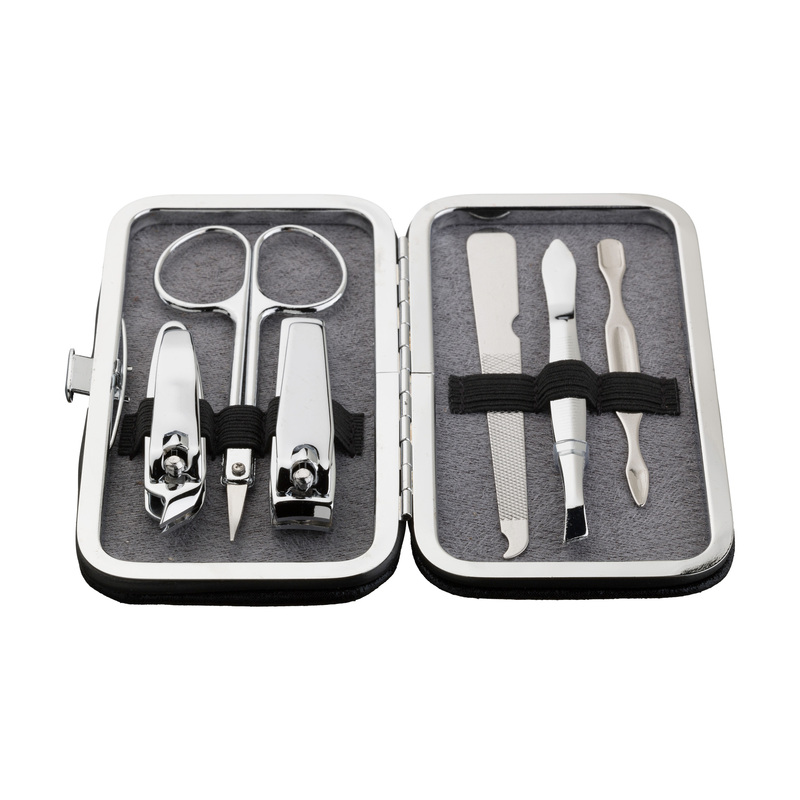 Kit includes: Stainless Steel Dual Ended Cuticle Pusher, Slant Tweezer, Stainless Steel Nail File, Nail Clipper, Cuticle Scissors, Nail & Cuticle Nipper and Case. Soak fingertips in warm water to soften cuticles. 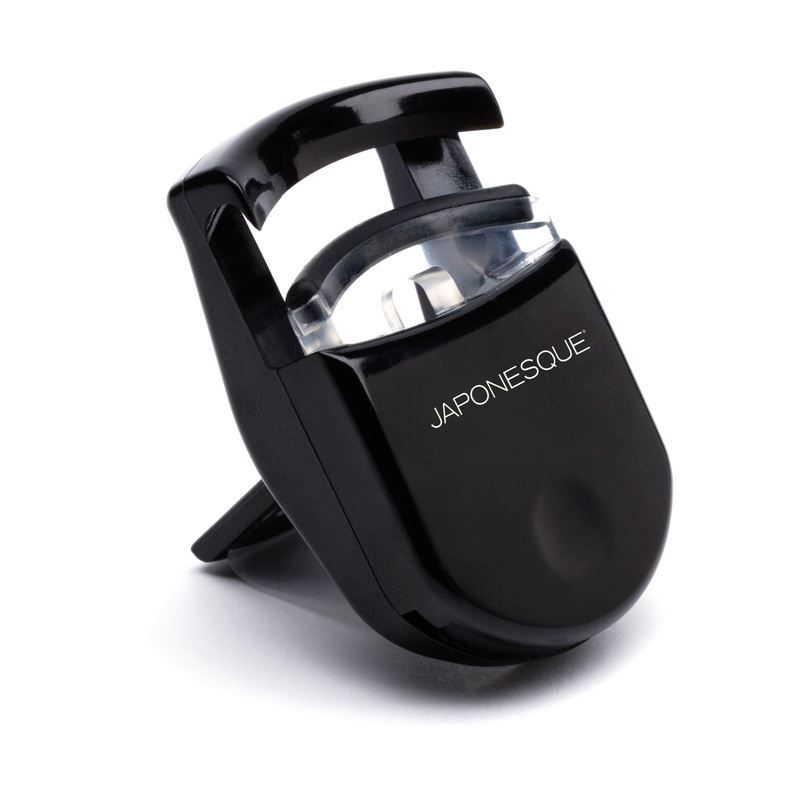 Gently push cuticles towards base of nail with the cuticle pusher. 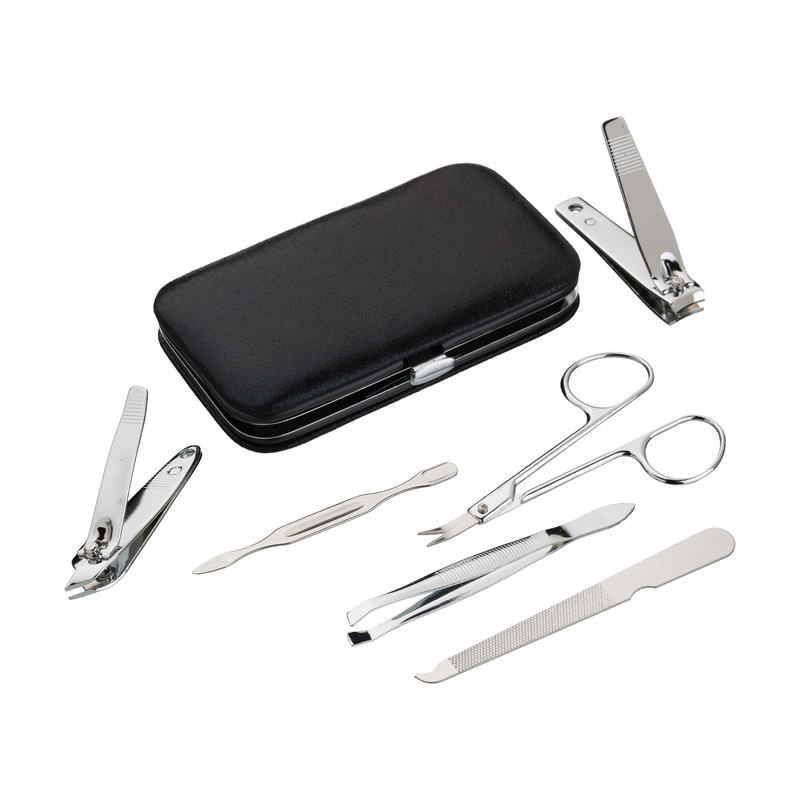 Position either cuticle scissor or nipper along cuticle line and trim dead cuticle skin, being careful not to cut live skin. Use nail clipper to achieve desired nail length. 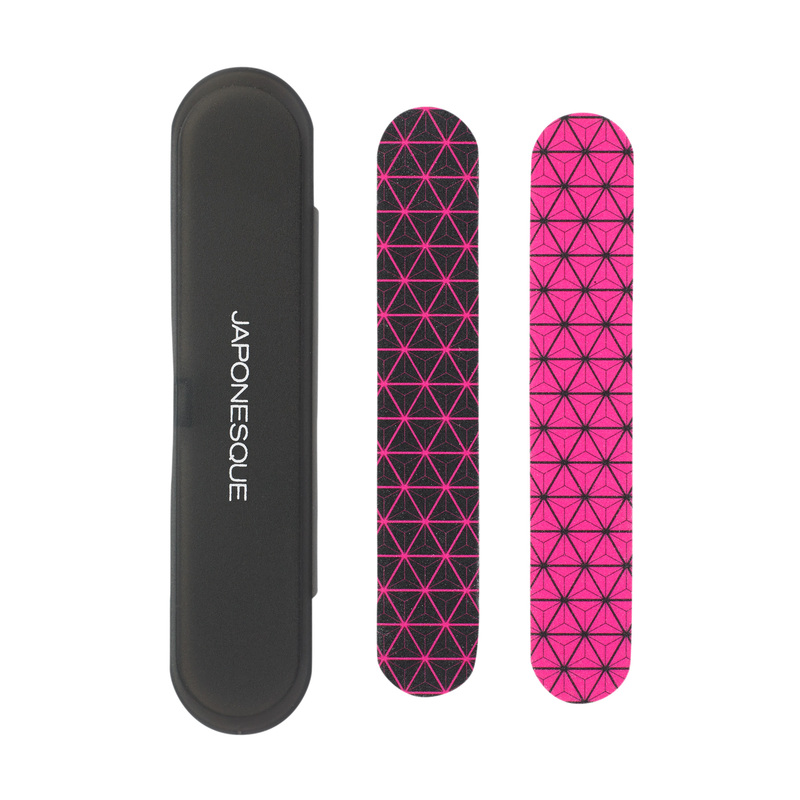 Use nail file to shape and smooth nails. 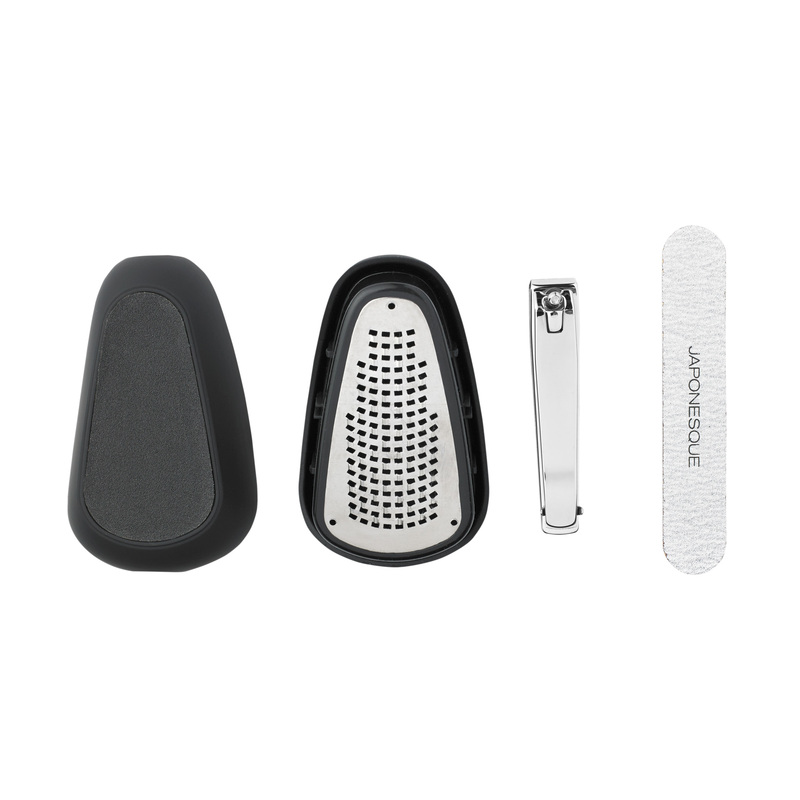 Use either the tip of nail file or opposite end of the cuticle pusher for under nail cleaning. 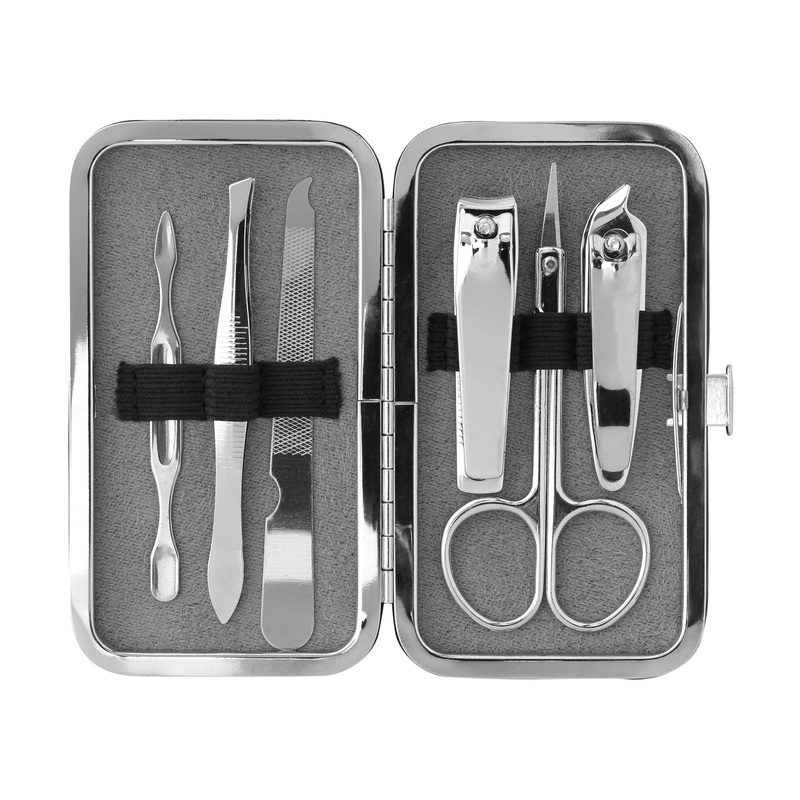 Tweezers included to remove unwanted stray hairs. 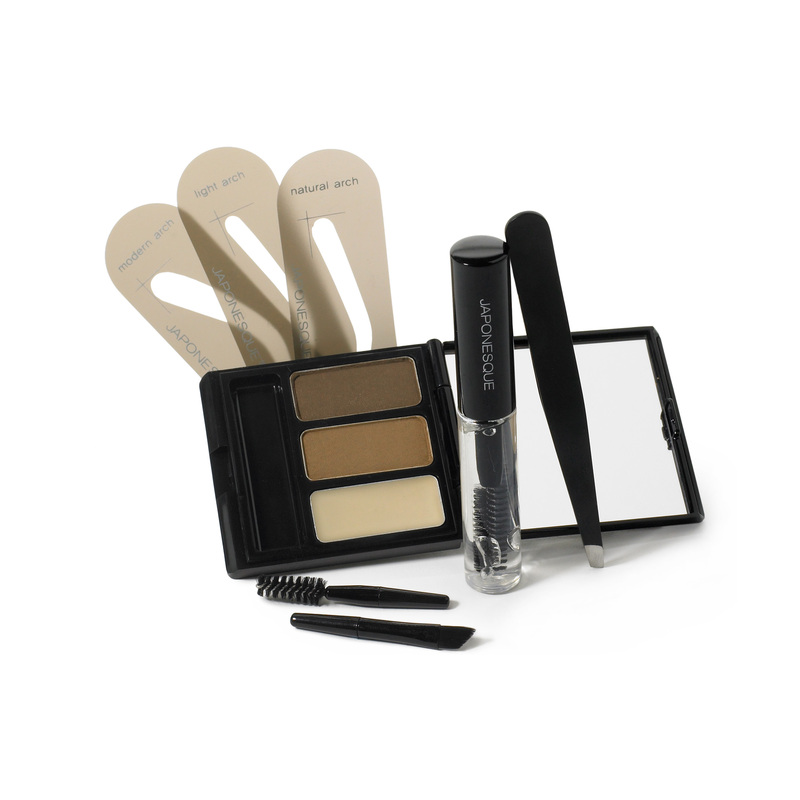 Such a great kit to put in your purse. It really does have everything you need and the fact that it comes in a cute little case is a bonus. Great travel kit! wish it came in different colors. I love the outside of this case! Its a metallic, shimmery black. This picture does not do it justice. It looks so sleek. This is a great value – I have all the tools I need for a manicure!